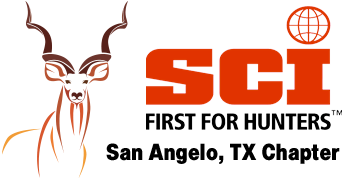 The San Angelo Chapter of SCI takes donations from individuals, companies, and organizations. - Items for Silent Auction's. - Hunts/Trips for Live Auction's. - Property use for events. There are also more ways to give and the chapter is always grateful for any support.